Basic will used to specify beneficiaries upon death. This General Affidavit is designed for use in Australia. This form is available for immediate download. Australian General Bill of Sale for use in all situations. 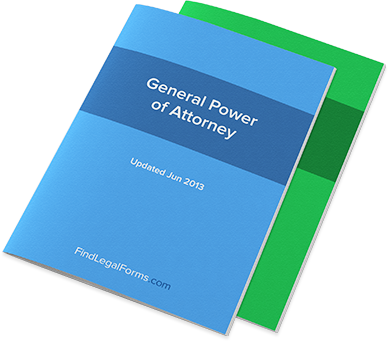 This General Power of Attorney is designed for use in Australia. This legal form is available for immediate download. This Promissory Note - Instalment is designed for use in Australia. This form is available for immediate download. This Residential Real Estate Sale Contract (Cash Sale or Seller Financing) is used for the sale of free-standing residential homes when a buyer is paying in cash or seller is financing the purchase. This contract contains all the necessary terms and creates a binding obligation when signed by the parties. This Affidavit Forms Combo Package is designed for use in Australia. This combo is available for immediate download. This Automobile/Vehicle Bill of Sale and Odometer Disclosure Statement is designed for use in Australia. This form is available for immediate download. This Boat/Vessel Bill of Sale is designed for use in Australia. This form is available for immediate download. This Cat Bill of Sale is created for use in Australia. This legal form is available for immediate download. This Dog Bill of Sale is created for use in Australia. This form is available for immediate download. This Exotic Animal Bill of Sale is designed for use in Australia. This form is available for immediate download. This Mobile Home Bill of Sale is designed for use in Australia. This form is ready for immediate download. This Motorcycle "As Is" Bill of Sale and Odometer Disclosure Statement is designed for use in Australia. This form is available for immediate download. This Borrowing Lending Premier Combo Package is designed for use in Australia. This combo package is available for immediate download. This Instalment Promissory Note with Final Balloon Payment is designed for use in Australia. This form is available for immediate download. This Novation Contract is designed for use in Australia. This legal form is available for immediate download. This Loan Agreement for an Unsecured Loan with Guaranty - Payable on Demand is designed for use in Australia. This form is available for immediate download. This Parental Permission and Medical Consent form is designed for use in Australia. This legal form is available for immediate download. This Wedding Service Agreements Combo is designed for use in Australia. This combo package is available for immediate download. This Lease Extension Agreement is created for use in Australia. This legal form is available for immediate download. This Month to Month Lease Agreement is designed for use in Australia. This legal form is available for immediate download. This Notice of Default Package is designed for use in Australia. These forms are available for immediate download. This Residential Lease Agreement with Option to Purchase will allow a landlord to rent a property to a tenant with an option to purchase the property for a set price and within a certain time. This form sets out the terms of the rental lease and a detailed provision regarding the tenant's option to purchase the property. This Sublease Agreement is designed for use in Australia. This legal form is available for immediate download. This Room Lease Agreement -- Unfurnished is designed for use in Australia. This form is available for immediate download. This Revocation of Power of Attorney is designed for use in Australia. This form is available for immediate download. This Contract for Deed is for use by a property seller who will finance a purchase and retain title in the property until all payment provisions are met. This type of contract is useful in situations where a buyer cannot obtain traditional financing. This Contract for Deed is for use in Australia. This Real Estate Sale Contract (Land Only) is for use when a buyer is purchasing vacant land with cash, the seller is financing the land purchase or the buying is obtaining a new loan or assuming an existing loan. This land sale contract contains traditional terms along with other provisions regarding financing and inspections. This Commercial Sublease Agreement is designed for use in Australia. This form is available for immediate download. This Joint Venture Agreement is designed for use in Australia. This legal document is available for immediate download. Loan Agreement for an Unsecured Loan without Guaranty - Fixed for use in Australia. This Asset Purchase Agreement is designed for use in Australia. This legal form is available for immediate download. This Confidentiality Agreement To Protect Business Plan is designed for use in Australia. This form is available for immediate download. This Finder's Fee Agreement is created for use in Australia. This legal form is available for immediate download. This General Agreement is designed for use in Australia. This legal form is available for immediate download. This Authorisation to Release Confidential Information is designed for use in Australia. This legal form is available for immediate download. This Shareholders Resolution Electing Corporate Directors is created for use in Australia. This form is available for immediate download. This Stock Purchase Agreement form is designed for use in Australia. This agreement clearly sets out the terms of the transaction and is available for immediate download. Various letters used by employers including offer of employment, recommendation and termination letters. This Employment Agreement - Long Form is created for use in Australia. This form is available for immediate download. This Amendment to Employment Agreement is designed for use in Australia. This legal form is ready for immediate download. This Employment Application is designed for use in Australia. This form is available for immediate download. Sales Representative Agreement for use in Australia. This Notice of Assignment of Intellectual Property is designed for use in Australia. This form is available for immediate download. This Patent Application Assignment Agreement is for use in Australia. Patent inventors have the right to transfer their interest in a patent but also have the right to transfer their rights in a patent application. This form is designed to assist in drafting the transfer of an application for a patent and is available for immediate download. Research and Development Agreement for use in Australia. This Trademark Infringement Cease & Desist Letter (URL/Web Address) is designed for use in Australia. This form is available for immediate download. This Trade Mark Licence Agreement is designed for use in Australia. When an owner of a trade mark wishes to transfer certain rights in a mark to another party for a specific duration of time, a trade mark licence is entered into. At the end of the agreement, all rights in the mark revert back to the trade mark owner. This form will assist in drafting this type of licencing agreement and is available for immediate download. This Commercial Lease Extension Agreement is designed for use in Australia. This form is available for immediate download. This Commercial Lease Termination Agreement is designed for use in Australia. This legal form is available for immediate download. This Office Lease Agreement - Unfurnished is designed for use in Australia. This form is available for immediate download. This Warehouse Lease Agreement is designed for use in Australia. This legal form is available for immediate download. This Authorisation to Release Information is designed for use in Australia. This form is available for immediate download. Assignment of Internet Domain Name for use in Australia. Protect your rights with a Domain Name Sales Agreement for use in Australia. This Internet Forms Combo Package is designed for use in Australia. This combo package is available for immediate download. Website Affiliate Agreement for use in all states and territories of Australia. This Website Design Agreement is designed for use in Australia. This form is available for immediate download. This Website Maintenance Agreement is designed for use in Australia. This legal form is available for immediate download. This Website Sales Agreement is for use in Australia. Protect your rights by documenting the sale of a website in writing.